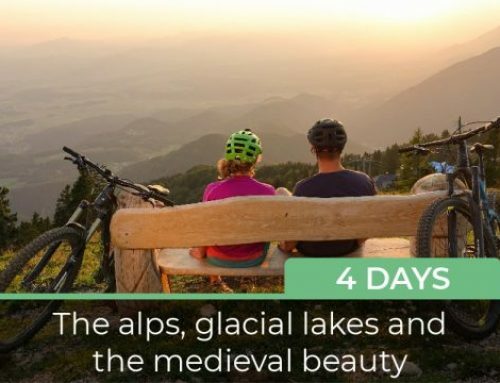 With its remarkable diversity seen through the eyes of an seven-day cycling trip, Slovenia offers an experience of views on the peaks of the Kamnik-Savinja and the Julian Alps; exploring the magic of the glacial lakes; the outstanding variance of the hills surrounding the capital; and discovering the authenticity of the Karst region that impresses with its natural and culinary diversity. 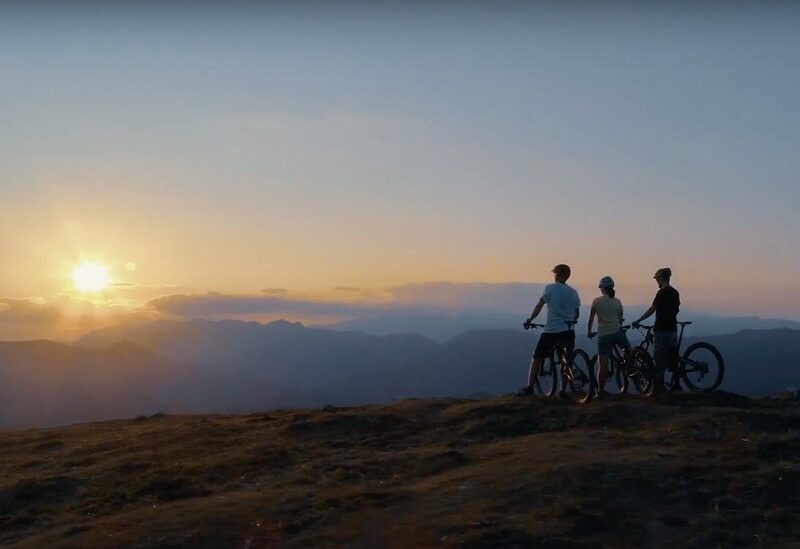 The bicycle story with a fusion of natural and cultural features is wrapped up with culinary experiences that give each province its appeal. Strolling through Ljubljana, exploring the nicest corners of the town, seeing them through the eyes of the locals. 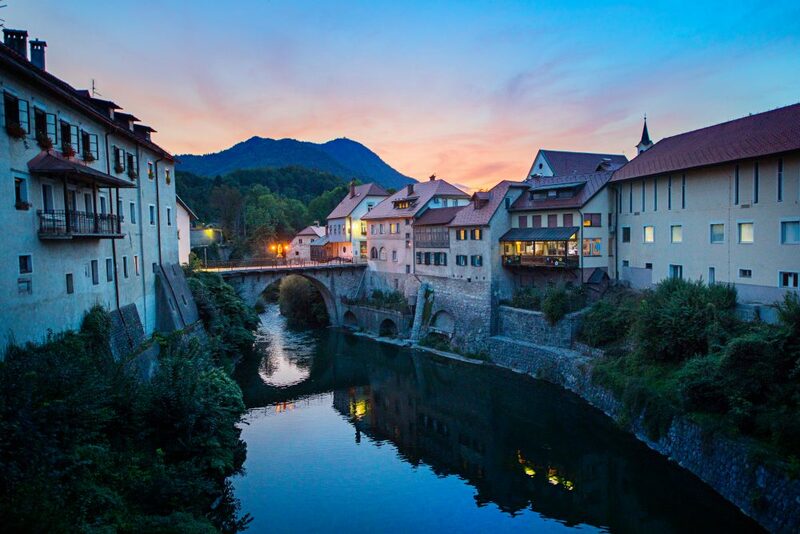 The medieval town of Škofja Loka (second oldest town in Slovenia) with its exciting history. Visiting shepherd cottages on Velika planina with a view of the Kamnik-Savinja Alps. Visiting Bled and Lake Bled. Cycling through the vineyards of Karst. Tasting the best Slovenian wines. 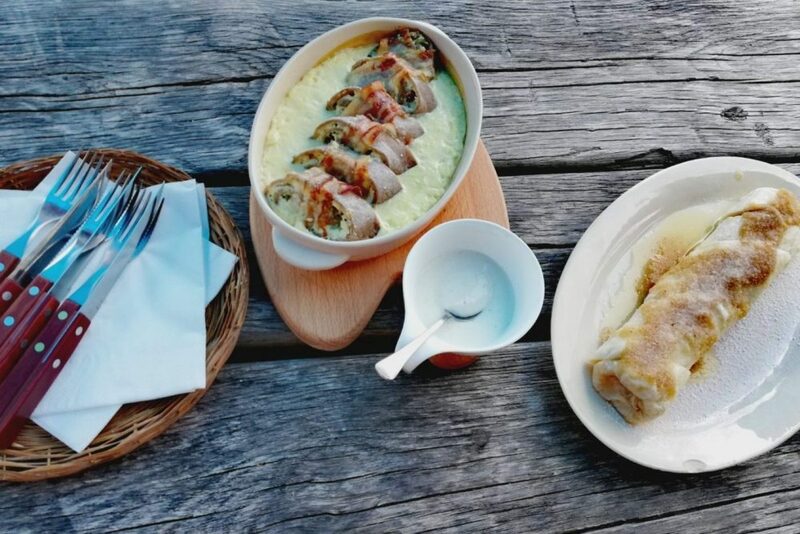 Culinary experiences in different Slovenian provinces. We’ll spend the first days in a pleasant family apartment in the town of Medvode, which is an excellent starting point for the first cycling tours. The proximity of Ljubljana also makes evening visits of the city possible. The house also offers a beautiful garden that’s a perfect resting haven after active days. We’ll spend the last two days in a lovely homestead in Karst. 7 nights accommodation in double or twin room. Exciting 6 different bike tours. Complete van support every kilometer of the way. All entrance fees for sightseeing program. Transportation from your destination to Slovenia and back. After we arrive and settle, we’ll take some time to get to know each other and go through the program of our cycling week. We will also examine and test the cycling equipment, and rest after dinner. 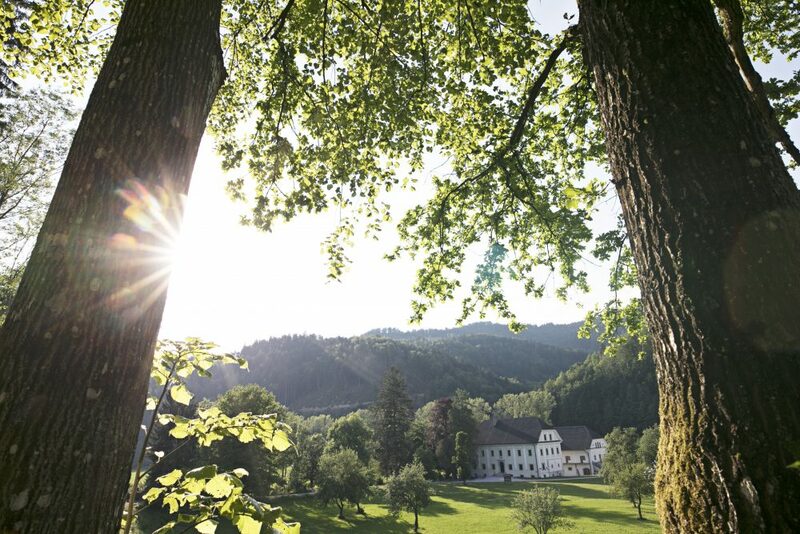 Škofja Loka and the surrounding hills are the perfect place to create breath-taking memories. The town with a dynamic neighbourhood is quite close to Ljubljana, but at the same time seems very far. Its enchanting backdrop of the cultural heritage is inhabited with the medieval spirit, while many a story could be told by the colourful houses. The town is, however, just a springboard for exploring the nooks full of old traditions, kind people and culinary experiences of the Škofja Loka hills. Breakfast and a transfer to the cycling tour’s starting point, namely a village above Škofja Loka. We’ll start the first part of the trip with an easy ride on the old military road through the picturesque villages of the Škofja Loka hills, all the way to the highest point of the tour, the cottage under Blegoš. We’ll catch our breath at the cottage and have a pick-me-up. A long descent to the Poljanska valley, rich with marvellous views, will follow. 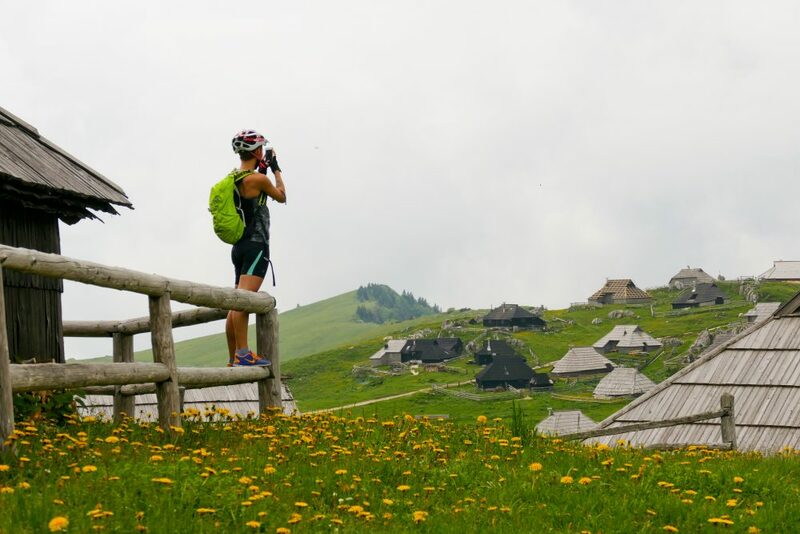 We’ll conclude the cycling tour in the village of Hotavlje, where local culinary delights will be waiting for us at the Tešnak homestead of experiences. When the evening falls, we’ll wrap up the day with a stroll through the medieval town of Škofja Loka, have an ice cream or a glass of fine wine under the old lime tree in the Town square. A ride back home and rest. Velika planina stretches along the edges of the Kamnik-Savinja Alps, caught between the beautiful valley of Bistrica and Upper Savinja. The shepherds that have been herding on the mount for centuries had already known how magical this mountain haven is, far away from the urban hustle and bustle. The shepherd’s huts, which come to life when the thick snow cover melts away, lend the mount its special character. Soft and green meadows between the sinkholes and huts are a perfect spot for vistas and an idyllic polygon for cycling. Breakfast and a transfer to Kamnik and the foot of Velika planina. 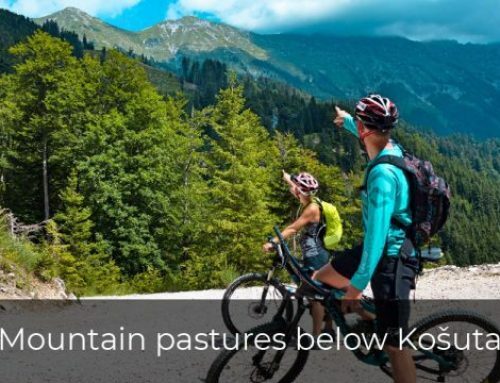 The trip begins with a slow ascent on a dynamic forest path on the edges of the mounts, introducing magnificent views of the Kamnik-Savinja Alps. We’ll then wind between the shepherd’s huts and cycle through the pastoral village all the way to Mala planina, where we’ll take five and taste the proper arcadian delicacies. Full of mountain views and impressions, we’ll return to the starting point via the circular forest path. Before we return to Ljubljana, we’ll catch a few afternoon moments by strolling through the Kamniška Bistrica valley and the town of Kamnik. We’ll wrap up the day by driving back to Ljubljana, stopping for a dinner. Pokljuka is a plateau with a magnificent spruce forest smack in the middle of the Triglav National Park. Despite the thick forest, glorious views of the Julian Alps on one side and lakes Bled and Bohinj on the other open up on its mounts. Monumental woods hide thousands of stories and are a proper cycling heaven of high mountains. 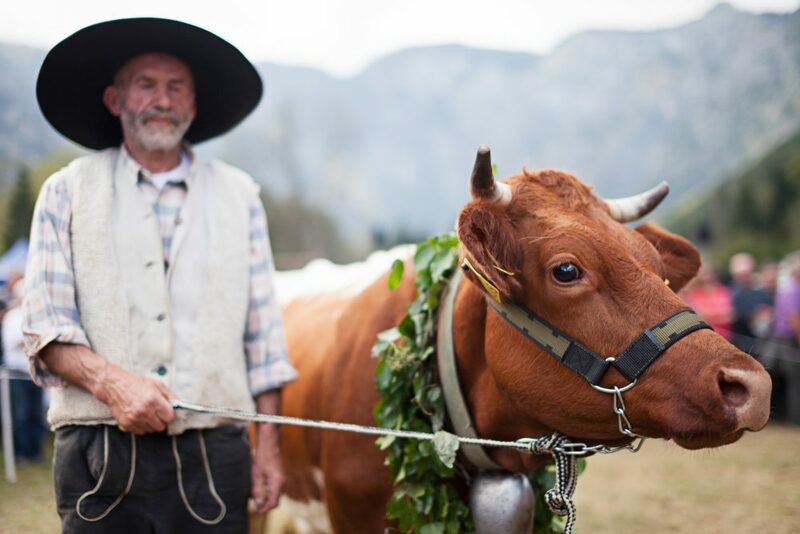 Many stories can be heard among the shepherds by a cup of milk and a slice of the Bohinj cheese. Highlights: Bled, Lake Bled, Pokljuka, Zajamniki, Lake Bohinj. Breakfast and a transfer to Bled, where we’ll have a cup of morning coffee accompanied by the view of the Julian Alps. The starting point of the cycling part of the trip will be Mrzli Studenec, which will impress us with its source and the coolness of the surrounding forest. We’ll continue our trip through the woods and over the captivating mounts. The trip will lead us to one of the most beautiful mounts in Slovenia and the first-class views on the Julian Alps. We’ll conclude the circle by stopping on Mount Goreljek, where we’ll refill our engines with delicacies of Bohinj. After we conclude the cycling part, we’ll drive to Lake Bohinj for a refreshing swim. We’ll continue via Soriška planina to Škofja Loka, where we’ll relax by an authentic Upper Carniola dinner at a homestead above Škofja Loka. With its pocket-size and oomph, Ljubljana is miniature Slovenia. Its lively streets hide simple, warm and smiling people. Powerful histories coincide on every step, radiating from the town’s throb. Looking for the perfect afternoon coffee spot or a place for an early dinner with a bike is a special kind of joy. We’ll start the rest day calmly. You can spend your morning resting or on a quick trip (a matter of choice). We’ll explore Ljubljana in the afternoon, either by foot or on a bike. We’ll dine in the town centre and enjoy an evening stroll. Karst is a mysterious world of winter gusts of wind, spring freshness of floral scents, summer embraces of sunshine, and autumn celebration of colours. The extraordinary interlacement of the underground and aboveground karstic world offers an environment ideal for curing prosciutto, while the vineyards offer a shelter for the world-famous Teran wine. The enigmatic cosmos hides kind, warm and hospitable people behind its stone walls – people who coexist with the landscape and offer opulent culinary feasts. We’ll start the day a bit earlier as we’ll transfer to Primorska after breakfast, namely to the lovely karstic village of Volčji Grad. 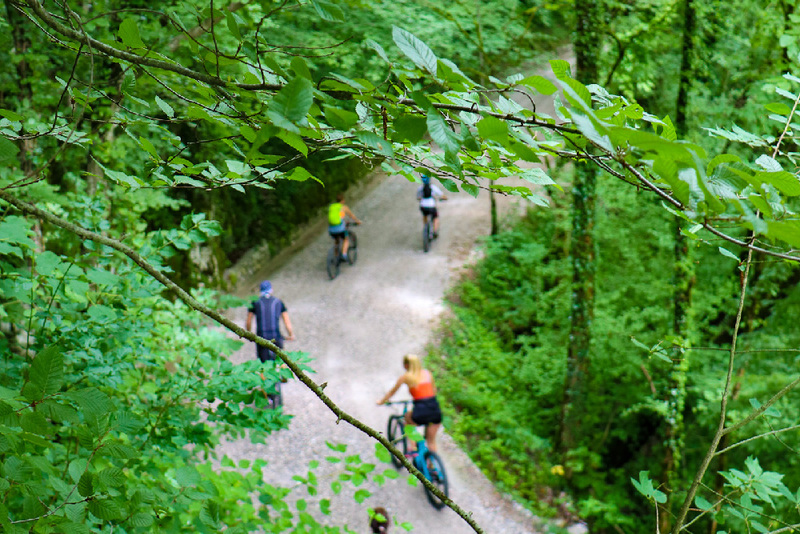 We’ll start the cycling part of the trip in the heart of the Karst landscape and ride through numerous villages that give the region its unique character. The first part of the trip concludes in Štanjel where we’ll recuperate with prosciutto and Teran, the symbols of Karst. We’ll stroll through Štanjel, the wonderful village with an astounding town centre and a wonderful view of the entire Karst. After we wrap up the cycling part of the trip, we’ll have dinner at a proper Karst homestead and experience wine tasting in a wine cellar. The Vipava valley is surrounded by the karstic mounts and hills of Vipava. It is an intersection of the Alpine, Karst and the Mediterranean world. The character of the landscape and people is shaped by bora winds, which dominate this place during winter. Stony villages glisten scattered along the green hills, while noble flavours of finest wines are born in the vineyards, surrounded by enticing aromas of ripening fruit. Transfer to Vipava in the Vipava valley after breakfast. 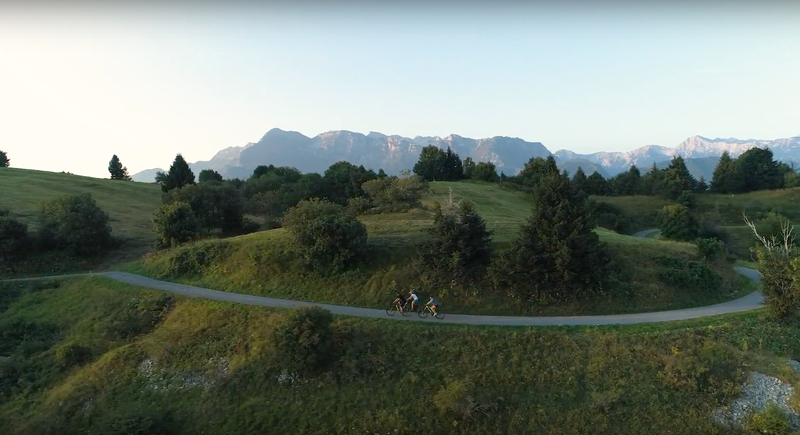 We’ll cycle over the dynamic hills of Vipava where we’ll be welcomed by the astonishing views of the valley, karstic mounts (Nanos, Trnovski gozd) and even the Julian Alps. The trip will lead us through the mysterious villages and, through the winding paths, back to the Vipava valley. We’ll wrap up the cycling part of the trip with an easy ride along the vineyards and orchards, enjoying a cup of coffee in a lovely coffeeshop in Vipava. The Vipava valley is famous for its wines and culinary delights, so we’ll conclude the day with a dinner in a genuine Littoral inn right around the corner from the source of the Vipava river. The conclusion of the cycling vacation and a transfer to the airport. 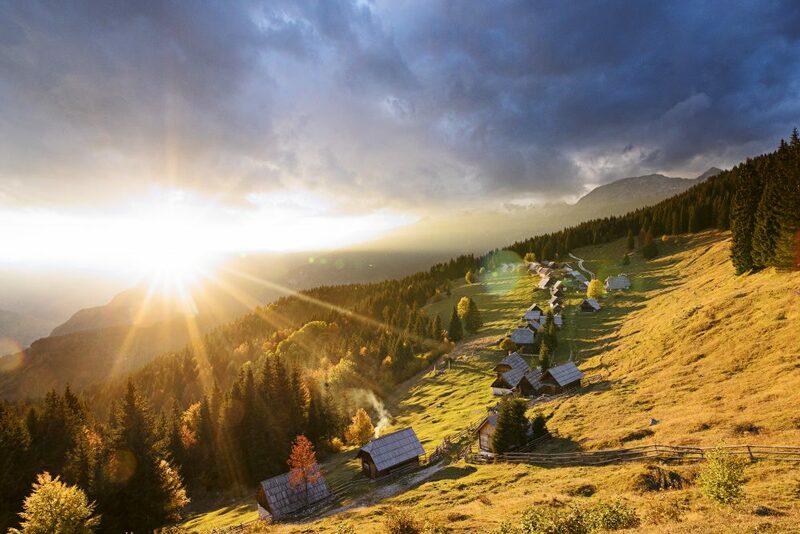 Photos: This is what is waiting for you on the tour through Slovenia.